The solar energy industry has been growing steadily for the past several years. Both consumers and US businesses are embracing in a big way solar energy. 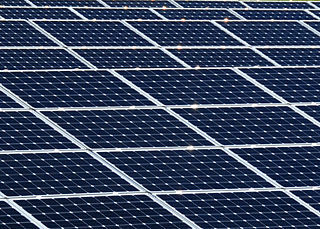 The installation of solar panels reached a new record last year. The domestic solar industry now employs more than a quarter million people, and growing, according to The Solar Foundation. Much of this growth has been spurred on by inexpensive photovoltaic cells and panels made in China and other countries in Asia and the Far East. These low-cost panels have helped bring down the costs of using solar by approximately 70 percent since 2010, creating the affordability that has made solar increasingly attractive over the past few years. This growth is threatened however, by the prospect that President Trump may impose a tax on imported solar photovoltaic cells. If Trump indeed imposes a trade tax on China and other Asian manufacturers of solar cells, it would be in response to a complaint made by Suniva, a Georgia-based company that manufactures solar panels. The company would like to see Trump place a tariff which would effectively double the price of imported panels, insuring that Suniva and other US producers can compete in the marketplace. About 95 percent of all cells and panels sold in the US last year were imported, mostly from China, Malaysia and the Philippines. The Trump administration has not announced its intentions in this matter. However, it is well-known that the president has complained many times about the “unfair” importing of steel from abroad, vowing to help protect domestic steelmakers and other US manufacturers by implementing tariffs on imports. Without a clear view of the future, several US energy customers are putting some solar projects on hold for now, while manufacturers are waiting to see what other markets might develop. Some investors are getting out of the industry altogether. The second quarter saw deals drop to $1.4 billion this year, down from $3.2 billion in 2017’s Q1 and from $1.7 billion in Q1 of 2016. Ed Fenster, chairman of the San Francisco-based Sunrun said Trump’s implementation of a tariff to punish foreign manufacturers and boost US competitiveness will backfire, harming most the American blue-color workers he campaigned to help.